The International Union For Conservation Of Nature (IUCN) is an international organisation working in the field of conservation of species. The biggest role IUCN is playing in this regard is the Red List which is a list of all threatened species in the world. The Red List categorises species found in our planet on the basis of their abundance or scarcity based on a number of criteria like population, habitat, range etc. According to the Red List animals and plants that have been evaluated by experts are categorised from ‘Least concern’ to ‘Extinct’ based on their current status. See the image below to understand the categorisation. As is apparent if a species is marked Critically Endangered, it is struggling to survive in the world and the numbers of the animal or plant are so low that it could become extinct at any time. It is also fair to say that such species need the most help and protection to ensure that their future is safe in the world. There are some people who believe that the Malabar Civet is extinct and some who think the animal exists though it hasn’t been seen for a long long time. According to records, the malabar civet was classified as extinct in 1978 but was rediscovered in 1987, 9 years later. No one knows for sure whether this mysterious animal from the Western Ghats, dog like with a banded tail, does still survive in India or lost to the world. 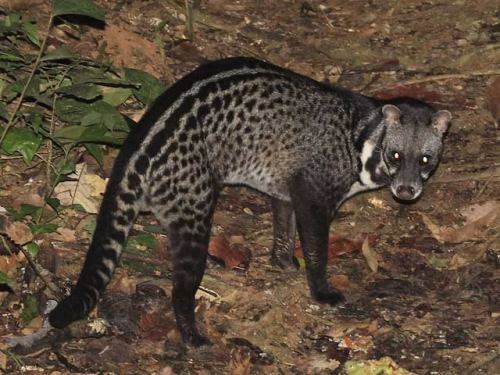 Researchers are still spending ours in the field to catch a sight of this nocturnal animal but while the Indian civet is easy to spot, the Malabar civet remains elusive. Till more is revealed, this is one of the rarest animals in the world classified Critically Endangered by IUCN. You can learn more about this civet here and here. The smallest member of the pig family is also the most endangered. In 2007 it was placed in the genus porcula from Sus which also contains the domestic pig. This distinction shows that the Pygmy hog is a wild species of pig. It is extremely small and hard to locate. It is found in North east India and only about 200 exist in the wild. 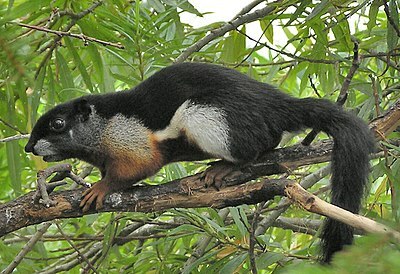 As the name suggests, this squirrel is found in only a single location at the Namdapha National Park in Arunachal Pradesh. It was last seen in 2005 and it’s home is a very tiny 100 sq km area. According to Arkive, the most distinctive feature of this species is the furred, muscular membrane that extends along the sides of the body, from the front limbs to the hindlegs. This unique membrane acts as a parachute when the animal leaps from a tree, and once in the air, the squirrel can steer by moving its limbs and tail. The ‘scaly anteater’ as the pangolins are commonly called as all very rare and their numbers declining because of the indiscriminate hunting of the animal. 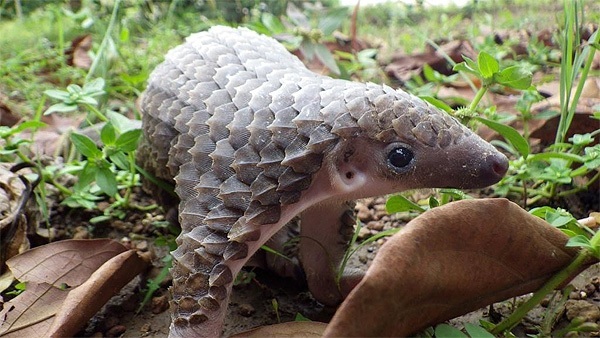 Chinese pangolins are found in North east India and have also been seen in Bihar. Their specific numbers are not known because the animal is highly secretive, solitary and nocturnal.